Accompanying text is extracted from a recorded walk-through with Vincent D'Aguilar in 2003, during which he talks about his own relationship to the work he has so avidly collected. "As soon as I saw the painting Black Pearl at an exhibition at Brent's home and studio I fell in love with it. It is surreal, it is imaginative, it is technically superb, and it is Bahamian. It is also one of my favourite paintings." "I sat for the Portrait of Vincent D'Aguilar on and off for over two years waiting for Kendal to remain motivated to complete it. There were long spells when he stopped working on it, and on one occasion he must have gotten frustrated with me and browned out my face altogether. There was a period when I was more recognizable and he could have stopped there, but my original instructions to him was that I would not influence him in any way and would accept it whenever he was satisfied it was finished. This is the end product in the manner of Willem De Kooning." 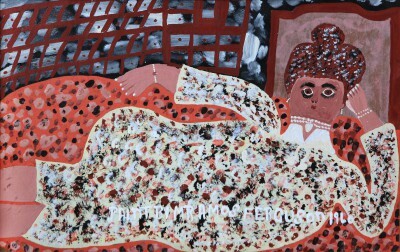 "Woman Lying on a Couch, aka Woman Reclining on a Sofa, 1960, by Amos Ferguson... is actually painted on cardboard. I bought this little gem from a husband whose wife (Enid Whiteland) had recently died and, as he had no interest in art, he put it up for sale along with some of her other belongings. I was surprised when he told me it was by Amos Ferguson, as it was not signed. I immediately purchased it, took it to Amos the following day to confirm this was his work. He told me right off the name of the lady who had bought it and, as requested, he signed and dated it, right across the painting. This elegantly dressed lady with all her pearls and her confident expression is most certainly the ruler of that home. 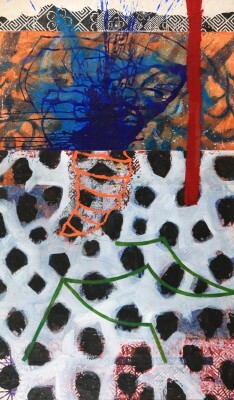 It is the only painting like this I have ever seen by Amos. 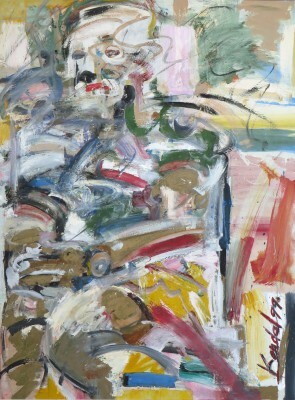 It belongs to Category 2.The style of the painting, the fact that is was not signed, and the very early date 1960, suggest to me that it was not done for sale to tourists. Amos always paints his women larger than the men to show their importance. He shows his own importance by signing as, Mr. Amos Ferguson." She [Marina] particularly liked the painting of the little girl, with two plaits and red bow in her hair, standing before an audience of children and adults, in some form of recitation. " 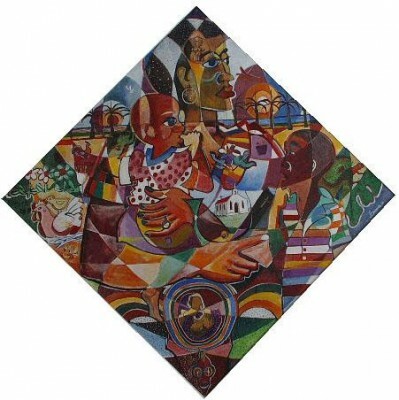 "Jackson painted Mhudda soon after he returned to Nassau, from College. A wife and mother, with all her children around, anxiously looking out to sea hoping and praying with Bible in hand, that her fisherman husband is safe and about to return home soon. 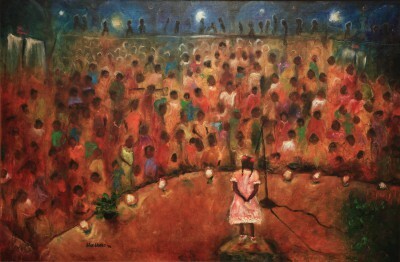 A strong emotional painting done in the old style that many Bahamian's relate to. It is also a favourite of my Dutch daughter-in-law, Saskia. 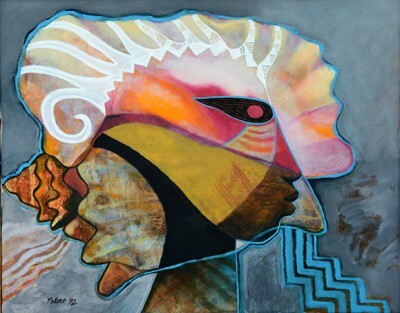 Fourteen years later, Jackson paints a modern version which he called Mhudda II. 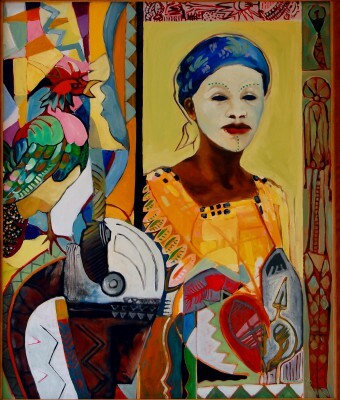 Whereas Mhudda portrays intense anxiety and is very emotional and real life, Mhudda II is more imaginative, colourful as in Junkanoo, and in a modern way equally as interesting and stunning. Both are outstanding paintings, painted in two different styles." Forty - eight years ago (September 17, 1955) I purchased a small diamond ring from the Nassau shop (men's shop) and late in the afternoon set off to the Benjamin's home. Mr. Benjamin greeted me on the porch and went inside to call Marina. Now, it so happened that we were both going out that night to a Western Sporting Club Dance with our respective families. When her father told her that I was out front, she could not understand why I had come. 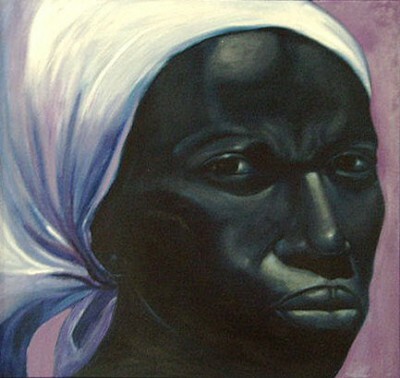 When she came out to see me she was wearing a white mud pack on her face just like the face in the painting. I slipped the ring on her finger and she screamed, " Does this mean we're engaged?" She ran inside shouting "Look I'm engaged!" to which Mr. Benjamin replied, "Engaged! No one wrote to me asking for your hand." I heard Marina say "Oh, daddy stop being so old fashioned." Hearing that I figured it was time to cut out, and I left. That night Marina walked into the dance indiscreetly displaying her engagement ring." John is one of the new breed artist. He is very talented, full of energy and enthusiasm, and not afraid to nudge Bahamians into another mode of art appreciation. The Cacoon rises to the surface and explodes into the atmosphere. When you step back and take in the full painting the overall effect is very pleasing and the explosion of The Cacoon creates the sensation of being in the 25th Century, expecting "E.T." to appear any moment. 'You Step Back And Look Into The Future'. Lotus Flowers appear at the top of the painting. I bought it because I liked its overall affect to the eye. If you're a collector and you have not been exposed to art as portrayed by John, you may tend to overlook a work of Art; but once it is explained to you and you see and understand where the artist is coming from, you may then recognize what is truly a great work of art. This is how you learn. is a masterpiece that conveys intense emotion. It portrays the face of a woman who lives a hard and tough life, like the environment in which Max grew up where the Grandmother, Aunt or the Mother ran the home, keeping it spotlessly clean, disciplined the children and stretched the meager income. Max has touched it up on a number of occasions and it is truly a favourite of mine.